If you’re like most people, you probably have a flat screen TV. One of the best things about a flat screen is the fact that it can be mounted to a wall to save space. However, that’s often easier said than done. Due to the weight of the device, and the fact that it needs to be placed in the right spot to ensure it’s pleasant to watch, you can’t just hang a TV anywhere and turn it on. 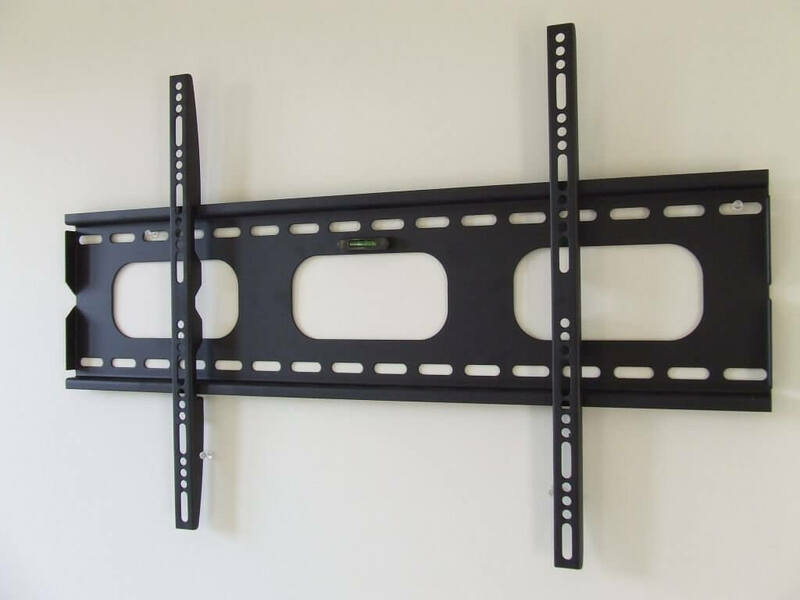 Even if you know to mount the TV to the wall studs and choose the right mounting brackets, there are still things to be concerned about. 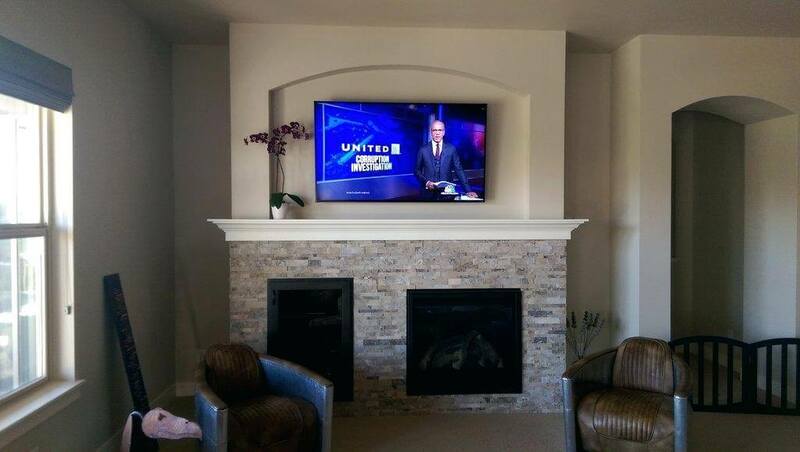 Therefore, if you have never mounted a television on your wall before, it’s worth paying for a professional Tampa TV mounting service to tackle the job for you. Otherwise, you have a good chance of making the following mistakes. When you mount your TV on the wall, the distance from the ports to the outlets increases — sometimes significantly. 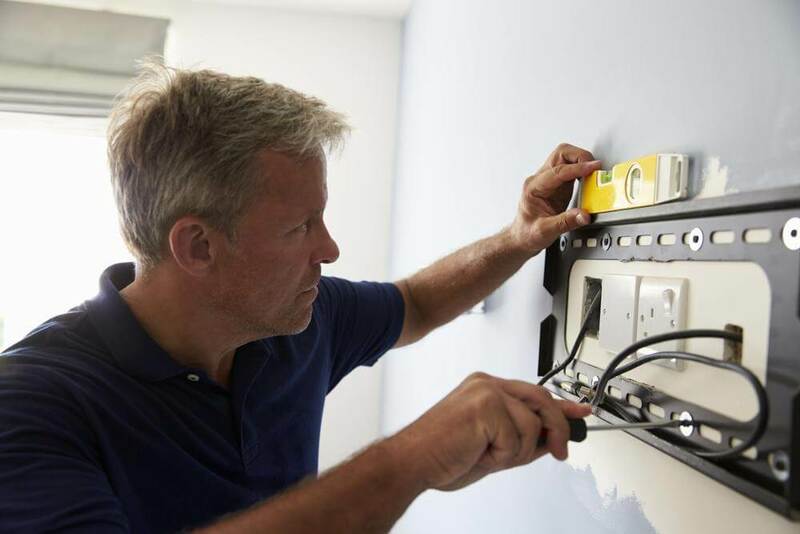 Stretching the cables is never a good idea, as they can weaken and break, so measure the distance between the ports and the outlets before installation to ensure you have enough cable. It’s also a good idea to feed a few extra cables through the wall in advance, so if you get a new console or device in the future, you don’t have to reconfigure the entire television installation. 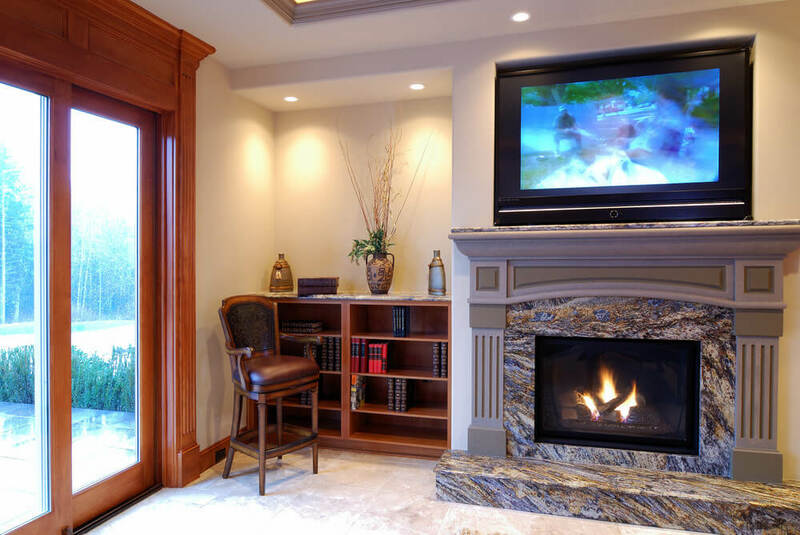 One of the most popular places to mount televisions is over the fireplace. After all, what’s better than snuggling up in front of a warm fire to binge-watch your favorite Netflix shows? 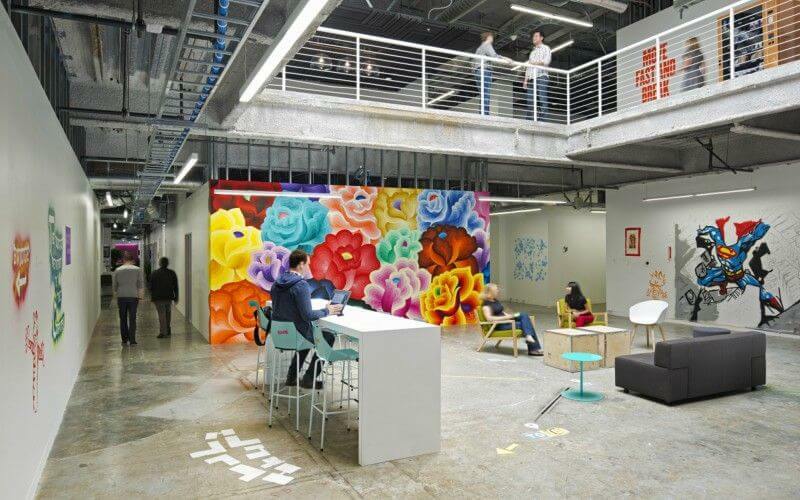 However, there are some considerations when taking this prime spot. For starters, make sure that the TV won’t be too high when mounted above the mantel, so that you end up with a stiff neck every time you turn it on. If your fireplace is too tall, you might need to find a better spot. Secondly, you need to be aware of the effects that the heat from the fireplace can have on your TV. Over time, the heat from fires can actually harm your TV and void its warranty. Before you mount your TV, use a thermometer to measure the temperature over the fireplace when you have a fire going. If it is under 100 degrees, then you should be able to use that spot — but you should have a deeper mantel to help deflect some of the heat into the room. You choose a TV because it looks and sounds great in the store, but when you get it home, the sound isn’t as clear, and the picture seems less crisp. Don’t fret — you haven’t been fooled by the salesperson. 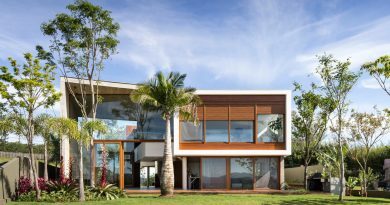 Once a TV is mounted on the wall in your home, the ambient light and sound conditions are different than they were in the store and can even differ in different places in the room. Therefore, it’s important to calibrate the picture and sound once your TV is in place, so it’s set up perfectly for that spot. Putting your TV over a fireplace isn’t the only way that it can be at too high of an angle to watch comfortably. Ideally, when watching your TV, the bottom third of the screen should be at eye level. Any higher or lower and you’ll end up with a sore neck. Before installing the TV, try different placements based on where you typically sit to watch, and choose the one that’s most comfortable. When drilling holes to mount the television and feed cables through the wall, take care that they are only as big as they need to be. Making the holes bigger than necessary (more likely with cables) can create the perfect entry point for pests like spiders and roaches. 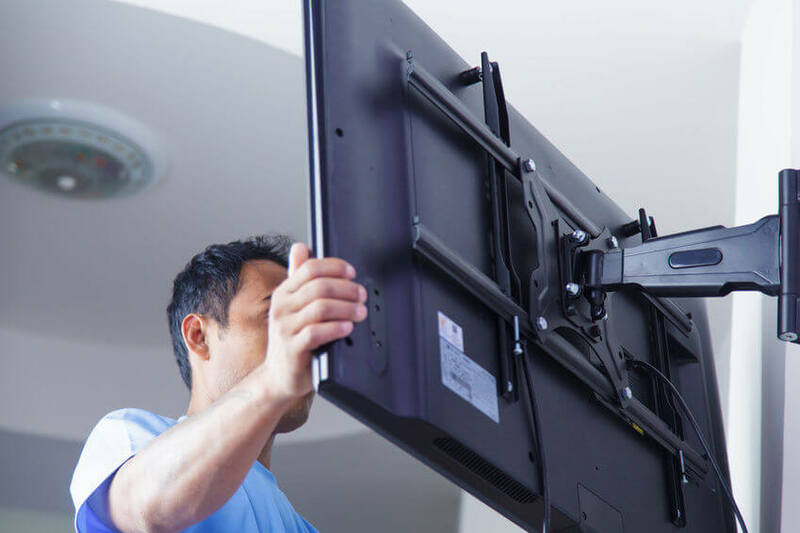 Mounting a TV on the wall isn’t a particularly difficult task, but one that can go terribly wrong if you aren’t sure what you are doing. For the safest installation and peace of mind that it was done correctly, always hire a professional.